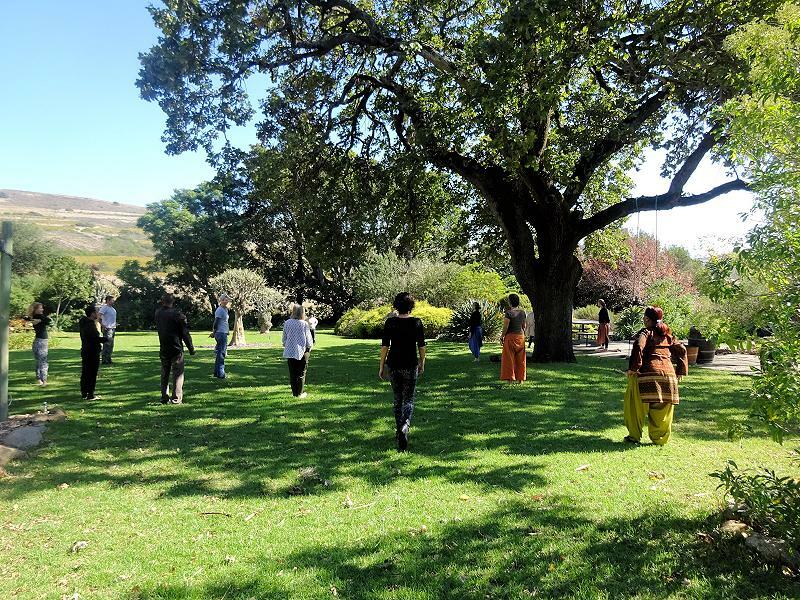 Beneath the boughs of three giant old oaks, the lawn rolls down from the Farmhouse to gardens and gardens within gardens. 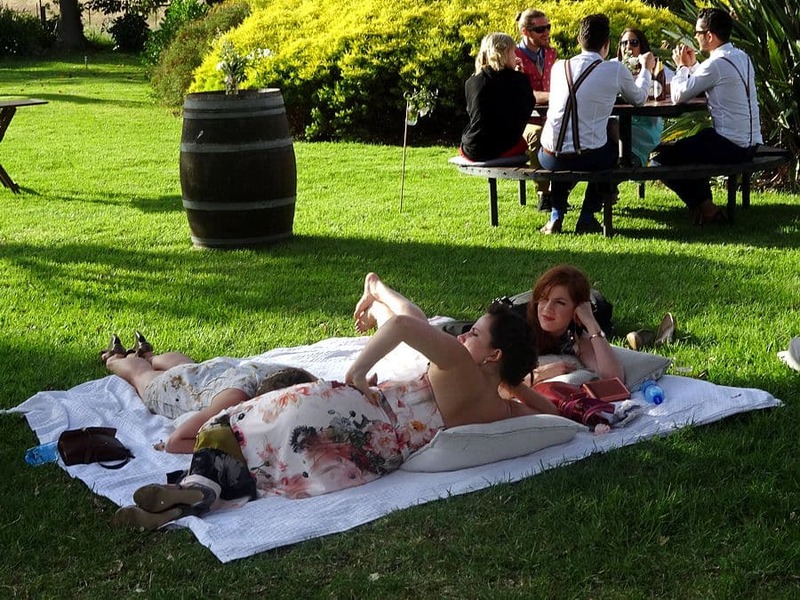 This has set the scene for some extraordinary outdoor events including summer concerts, morning weddings and gentle birthday parties. 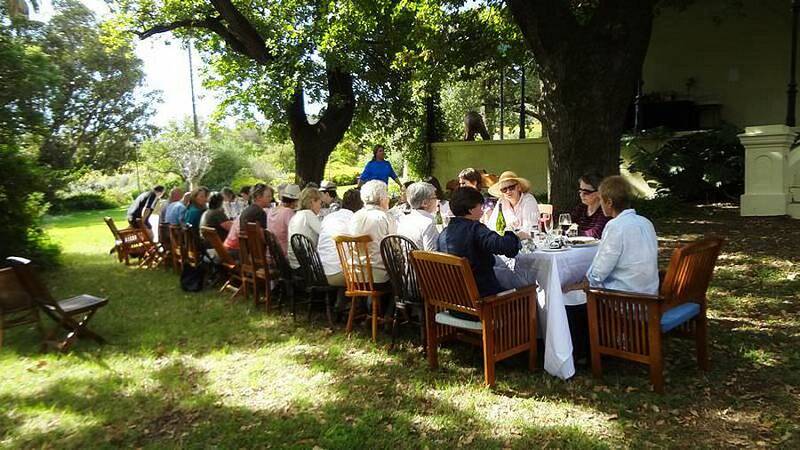 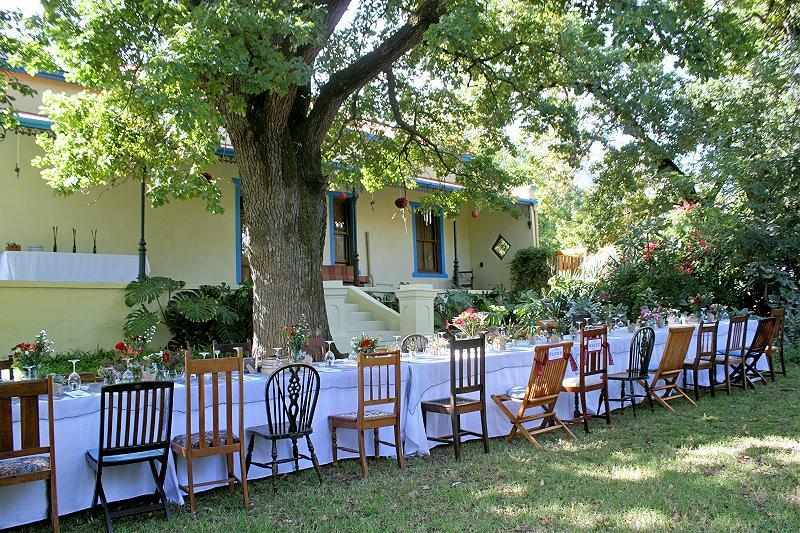 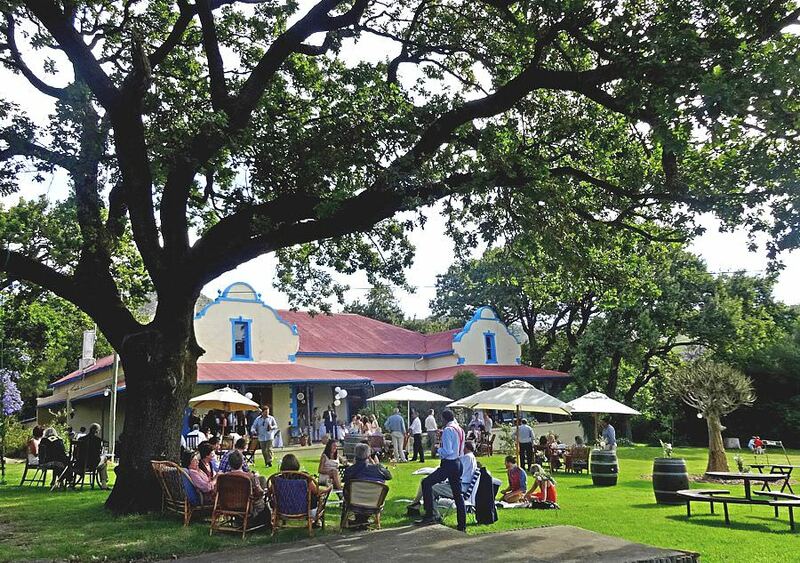 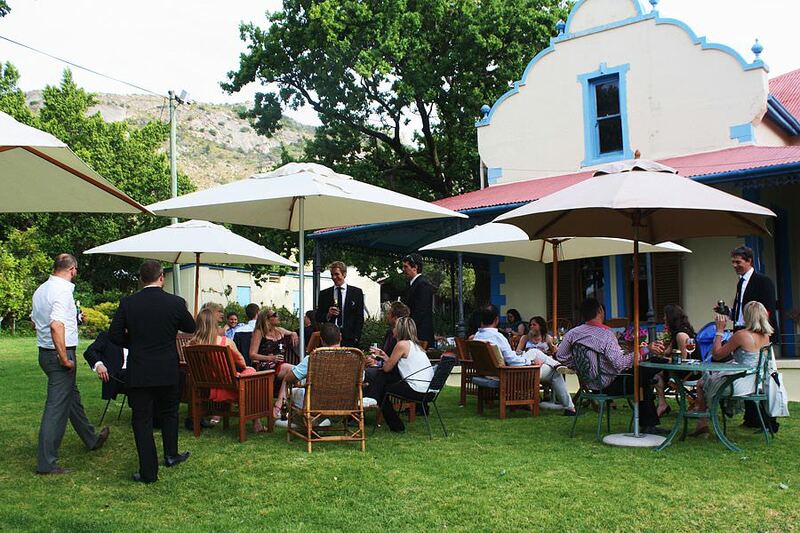 Groups fewer than 30 may eat at a long table under the oaks; the front veranda has space for 20. 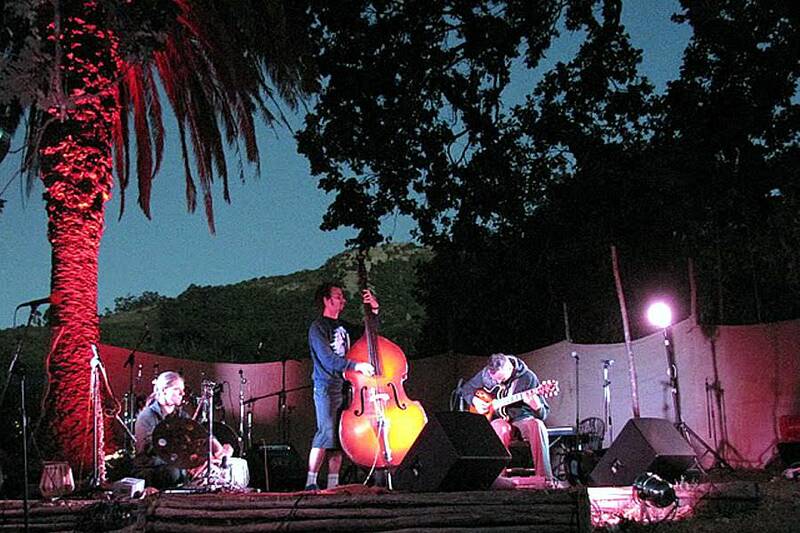 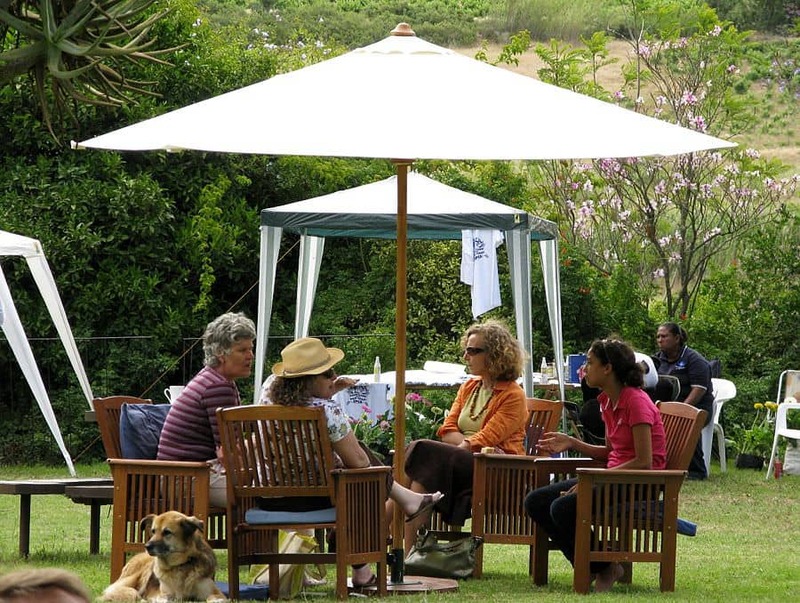 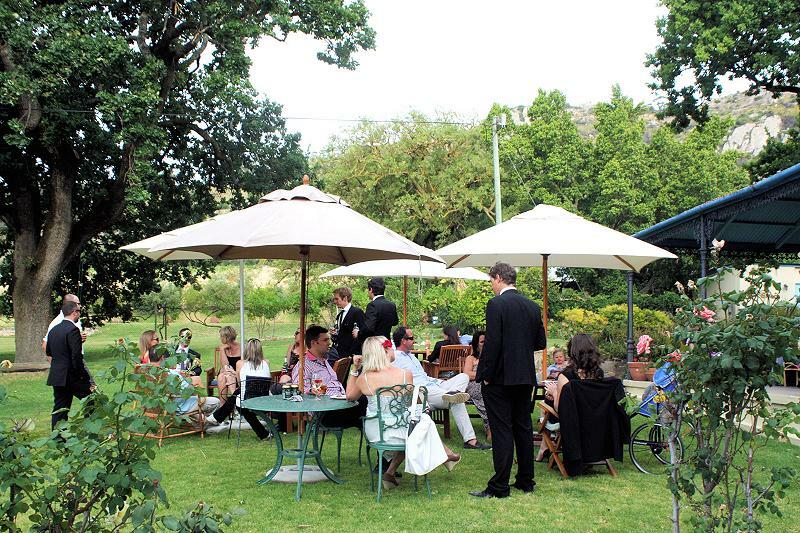 With a nomadic tent the farmhouse garden can accommodate up to 150, and for a fair or concert, up to 500. 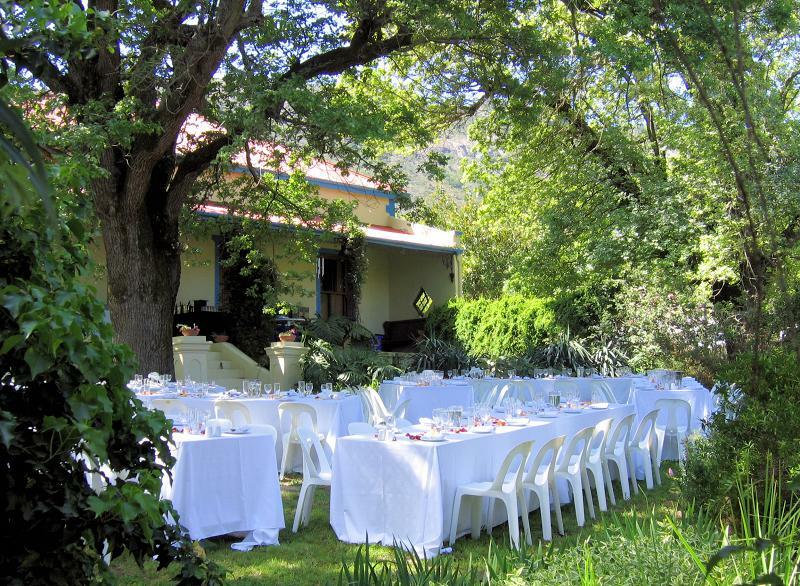 For midweek day events the garden can be booked as a stand-alone venue, but for weekends it can only be booked in conjunction with the Farmhouse accommodation.